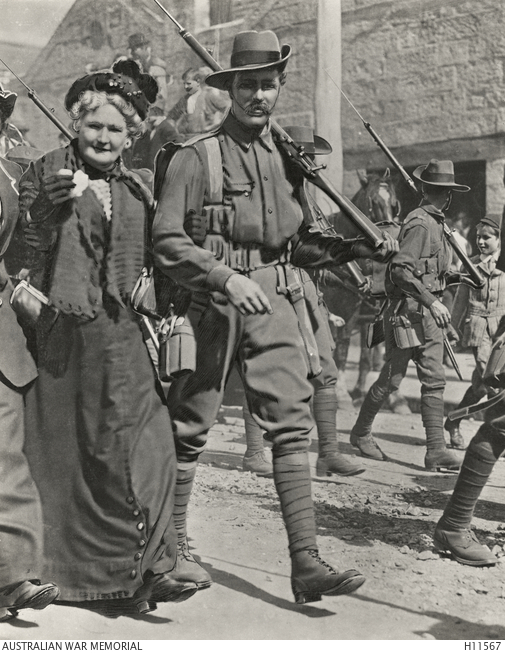 To celebrate Anzac Day, Ellen Cresswell reflects on the uncertainty and anxieties soldiers’ mothers experienced for their sons during World War I. Mother walking beside her soldier son before departure for Rabaul, New Britain, Papua New Guinea. Sydney Mail, 14 August 1914. Image via Australian War Memorial. There is no word in English, French, or German for a mother who has lost her child. “Widow” describes a woman who has lost her husband. “Orphan” describes a child who has lost his parents. Yet these mothers are simply described as bereaved or at loss. This may be because it is not the natural order of life, or it could simply be because a widow can remarry. But a mother who has lost a child will always be a mother. Nowhere is this more prominent than in histories of war. In Australian histories of World War I, a generalised sense of the experiences of women dominate narratives of the home front. As such, the experiences of soldiers’ mothers have been obscured within this general category of women, rather than studied as the distinctive experiences of a separate group. Of the 400 000 men who enlisted in the Australian Imperial Force, over 80 per cent were unmarried. More than half were under the age of 24. Therefore, it is reasonable to assume that for many of these single, fresh-faced boys, his mother was likely the most important woman in his life. This is not to say that soldiers did not leave behind sisters, girlfriends, or fiancés. Rather, the bond between mother and son can be seen through her struggles as she endured the uncertainty of war. For these mothers, the fate of their sons was often entwined with their own future prospects, including financial support, emotional support and grandchildren. From the moment of enlistment, this future was placed in jeopardy, forcing mothers into a state of helplessness and anxiety. 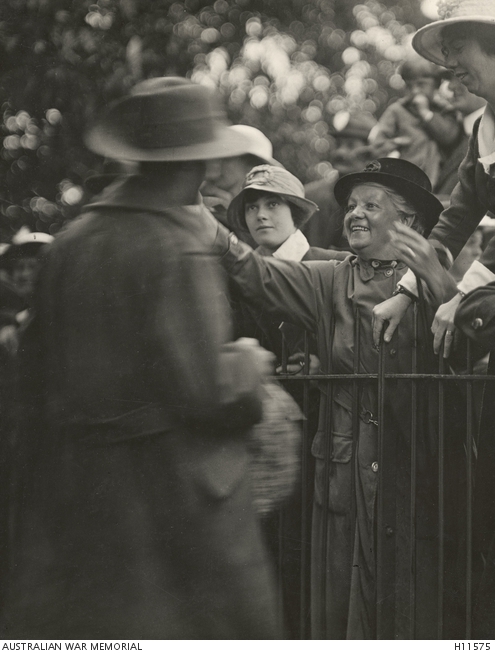 These emotions dominated the daily lives of soldiers’ mothers, only to be made all the more unbearable because of the immense distance between Australia and the faraway battlefields. Waiting for news, and for a son’s return, has been described by historian Jacqueline Manuel as a “cruel purgatory”. The daily anticipation for news created a near constant state of helplessness and anxiety, lingering as an ever-present shadow over these mothers’ lives. Last night I had a terrible dream about you I thought I had received a cable saying that you were dangerously wounded I woke myself screaming to the top of my voice and could not go back to sleep again I was very pleased when I found it was only a dream. It seemed for me, the sun had set. I went back to my lonely house, but could not go inside, nor, could I seek anyone’s company. I just went into the garden, and dug and dug, until I felt that my heart must break. For a mother, her son was never far from her thoughts. For Rose, Jim dominated her “last thoughts at night and first in the morning”; she repeatedly expressed in her letters how she wished “I had wings”. The distance had made her powerless and her life was dominated by an intense yearning for any scrap of news. Letters from the front gave mothers one consolation: if her boy was not safe, he was at least alive. Often starting with a variation of “Just a few lines to tell you that I am still in the land of the living”, letters maintained the intimate relationship, providing a mother with a tangible connection to her son. On 2 August 1917, Rose wrote to Jim: “you do not seem so far away when we can receive letters from you.” Like her son, these letters were precious and gave her temporary relief. Read over and over in private, letters were also circulated among friends and family and sometimes even published in local newspapers. Desperation for news developed into an obsession, with the arrival of mail given precedence over all else. But delays in the mail service were common and letters could be lost in sinking ships. The absence of mail could intensify anxiety, causing mothers to fear that silence meant the worst had happened. Sometimes it had. 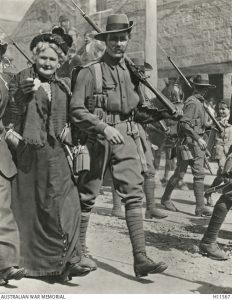 An Australian Imperial Forces soldier returning home from overseas being greeted with outstretched arms by his mother, c. 1915. Image via Australian War Memorial. Rather than allowing themselves to be overwhelmed with loss and the daunting casualty lists, mothers busied themselves to be ready for their sons’ return home. Maintaining the child’s belongings allowed mothers to keep their hands busy and hold the ever-present anxiety at bay, even just for a short time. Everything was ready for his return. While Jim was away, his mother hung out his suits “so that you will have something to wear when you come home”. It was almost as if mothers were convinced that if they were ready for their sons to come home, there was no way this labour of love could go to waste. This was not always the case. The only surviving letter from Maria Keat to her youngest son Alick reveals their shared passion for reading. Determined to stay optimistic, Maria wrote “I am saving some books for you to read when you come back”. She was hopeful they would read together again, like they had before the war. Alick was killed in action two months later. Regardless of whether they supported the war or not, the lives of soldiers’ mothers could be characterised by intense anxiety and helplessness. As their imagination forced them to consider the horrors facing their sons, mothers endured their anxiety as best they could, always hoping that her darling boy would walk through the front door. But for many of these women, this dream would never be reality. 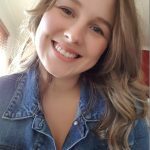 Ellen Cresswell completed her Bachelor of Arts (Hons) at the University of Wollongong in 2016. Her thesis is entitled, “‘I wish I had wings’: Experiences of The Soldier’s Mother in Australia During the First World War 1914-18”. 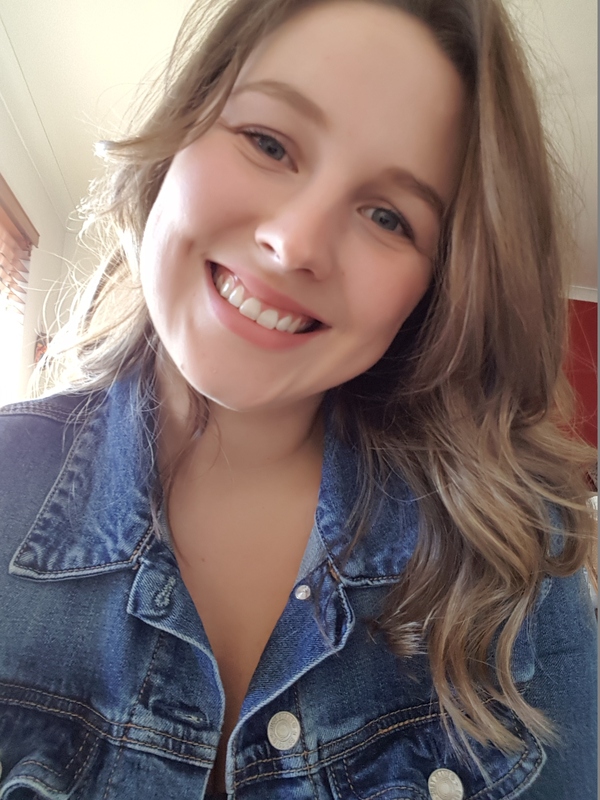 Ellen is currently completing a Masters of Museum and Heritage Studies at the University of Sydney and conducted research as a Summer Scholar for the Australian War Memorial in 2018. Her research interests include war, social, and medical histories. Follow Ellen on Twitter @ellecresswell.